First you start with a mirepoix. That’s a fancy word for a mixture of carrot, onion, celeriac, leek, bay leaf and thyme. 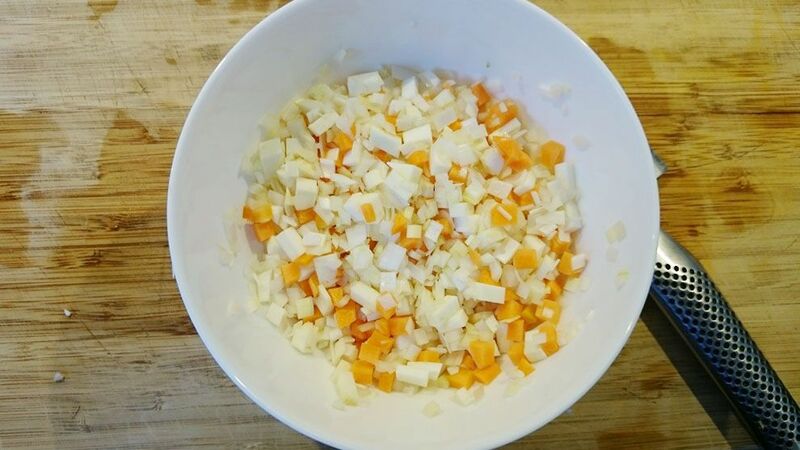 Finely cut the vegetables and mix together. These 4 vegetables should be 230 gram all together. After that you’ll need some clarified butter. Heat the butter on very low heat. When the butter has melted, the foam will rise to the top. When no more foam will rise, remove the foam carefully with a spoon. When you think it’s hard to remove it all with a spoon, you can decide to strain it through a cheesecloth to get all of the little pieces of foam. Now we’re gonna create a brown roux, browning the butter will give it a nutty flavor. Also the Espagnole sauce will get a nice darker color. 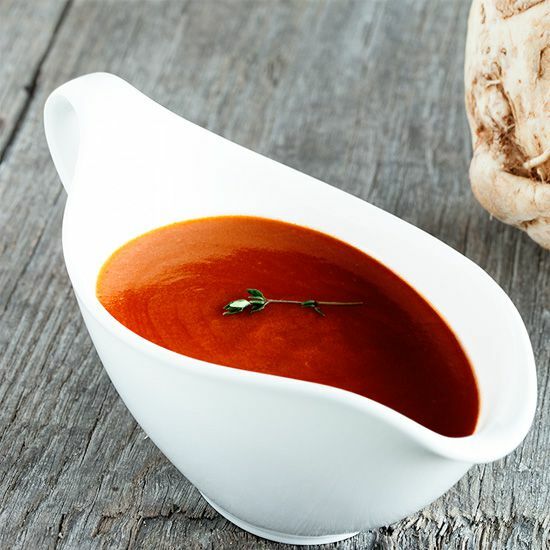 A roux is used as a thickening agent for sauces, soups and stews. Heat the clarified butter until it starts to brown a little, add the mirepoix (except for the bay leave and thyme) and soften the vegetable mix a few minutes. Add the flour and mix with a wooden spoon and let it brown a little more. Let the roux cool off completely. Heat the beef stock and stir it into the cooled roux. Add the tomato paste, parsley stems, bay leave, thyme and peppercorns. Let the sauce simmer on low heat for about an hour. Press the sauce through a fine sieve, or if you have one, you can use a cheesecloth. SEASON with pepper and salt. 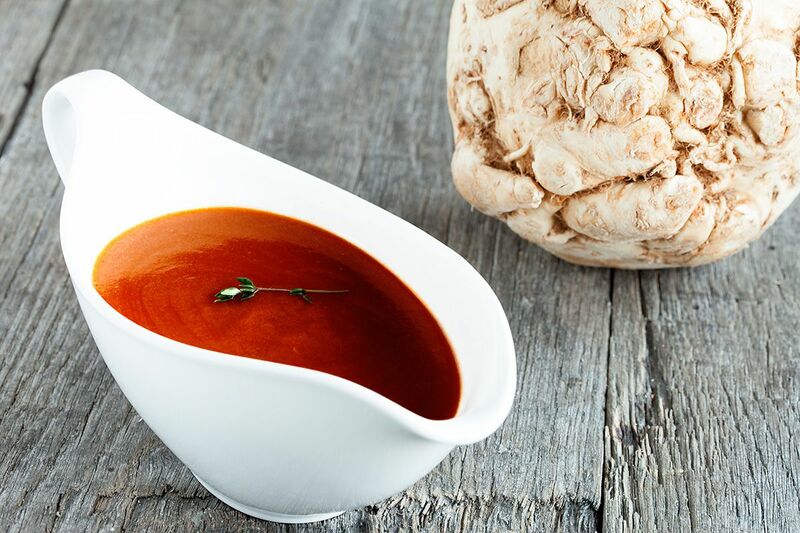 Now you have a delicious sauce to go with beef, and you can use it to create a red wine sauce, also known as Bordelaise.